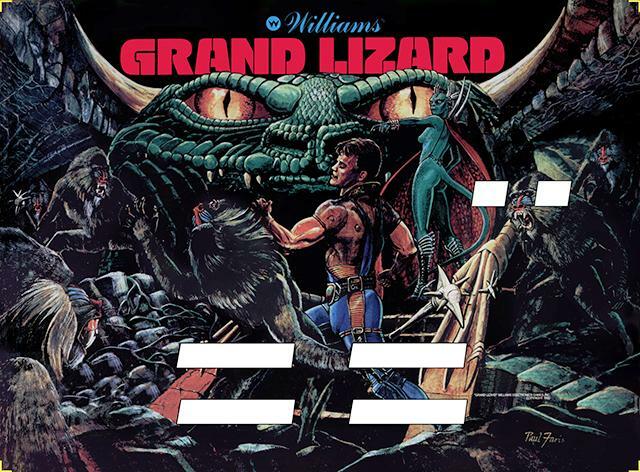 Originally the 1986 Williams Grand Lizard was designed as a system9 game in 1985, artwork by Paul Faris. But ultimately the game was not released until the system11 era. The original artwork had to be changed to compensate for system11 alpha-numeric score displays (they were in a different physical position than the original numeric display design.) Paul Faris was not available to re-do his artwork, so instead Williams used Python Anghelo to re-do the backglass artwork. That’s why the released Python Anghelo art on the score glass is a different style than the Paul Faris playfield artwork. 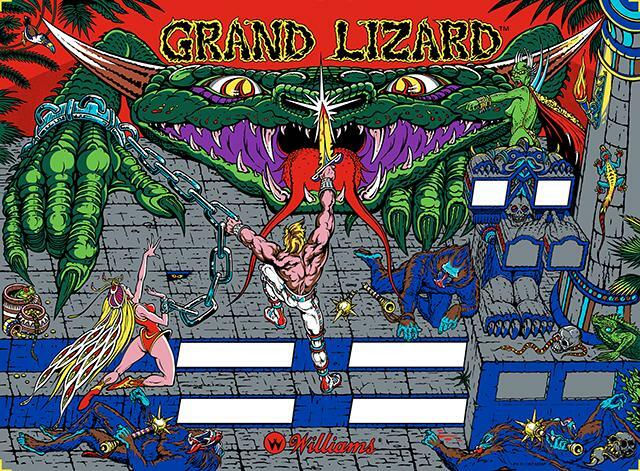 We were able to get ahold of an original prototype Grand Lizard glass, and with some photoshop magic, make it work in a stock system11 Grand Lizard game. Below are the results, as done for a client with the original glass.